they are of natural or artificial origin. In calendar year 2293, Earth agrees to receive a group of El-Aurian refugees (some of whom are killed by a destructive energy ribbon that is a doorway to The Nexus, while the others were rescued by the Enterprise-B). Their history with the Borg would not become familiar knowledge among Federation citizens for some time. This cobalt blue drink that you have to serve in a tall schooner glass is either a straightforward Gatorade Cool Blue Raspberry, which has a luminous quality to it, or a Powerade Mountain Blast, which is a deeper blue. Either way, the drink is served, Romulan style, in a tall spiral glass or schooner glass, and is meant to be sipped, not downed in a single slug like the Klingon ales. You can also serve it in a very tall champagne glass, and mix a few teaspoons of Martinelli sparkling cider or club soda which allows the sparkling effervescent bubbles to rise to the surface. The official cookbook from Star Trek�s first chef! An exploration of Star Trek Cuisine, for the Earthbound. Activity: Drink while rewatching TNG episodes. Instructions: Mix all ingredients together. Pour into a tall, narrow glass. Add a grain of salt. The secret to this delicate drink is ginger, the secret to the "glow." Ginger also adds a certain punch, so don�t drink it before a nap! Serve as a sparkling aperitif or a late-night pick-me-up. Slice whole loaf of French bread, remove the crust. Cut each slice into the shape of a Star Fleet Logo. Arrange bread on lined cookie tray and toast under the grill briefly. Remove bread, brush with butter, and place a cheddar cheese gold star on each individual cut-out. Return to flame for just a few seconds, until cheese melts. Trim the edge of each logo with favorite dips or spread, like the San Remo Dip, Mushroom Dip, or a versatile, extra-thick paste version of Cream Sauce with Vermouth. If you can�t handle real Blood Wine, pataQ, try this one out. Strong, sweet and sophisticated, just like Worf circa TNG. Instructions: Mix the booze together in a shaker and pour over ice. Add the Jolt to taste. In a mixing bowl or casserole place 2 sliced onions, 2 smashed cloves garlic, 2 sliced pieces of celery, 2 bay leaves, 2 cups red-wine vinegar and 1/4 cup salad oil. 6 to 8 ozs. Each, in the vinegar mixture, and marinate for 3/4 hour to 1 hour. Remove salmon from the vinegar mixture. Place it on a greased shallow broiler pan. Brush salmon lightly with butter. Sprinkle with salt, celery salt and paprika. Sprinkle lightly with bread crumbs. Place under a preheated broiler flame, 550, for 5 minutes. Remove pan to oven section of range, and bake 5 minutes longer. Heat oven to 400 degrees F. Grease a 12-cup muffin tin. In a large bowl, combine flour, sugar, baking powder, espresso powder, cinnamon and salt. Whisk gently to mix. In a medium bowl, beat egg lightly. Whisk in milk, melted butter and vanilla extract. Make a well in center of dry ingredients and pour in milk mixture. Stir just until evenly blended. Stir in chocolate chips. Divide batter among 12 greased muffin cups. Bake 15 to 18 minutes, or until a cake tester inserted in center of muffin comes out clean. Tomatoes: Prepare in advance if you desire. Cut off ends of tomatoes and cut each tomato into about three 1/2-inch slices. Put tomato slices in a large bowl. Add buttermilk and turn to coat. Marinate for 5 minutes. Place a large heavy skillet over medium-high heat. Add oil to come two-thirds up side of pan. Heat oil to about 325 degrees. In a wide bowl, mix corn flour, salt and pepper. Working in batches, remove tomatoes from buttermilk, shaking off excess, and dip in corn flour to coat, shaking off excess. Slip into oil and fry until golden brown, 2 to 3 minutes on each side. Drain on paper towels. To serve, place greens on plates and top with tomato. Spoon shrimp & wine sauce, or other, over the tomatoes. 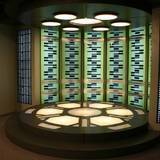 For eyes of STARFLEET command only. 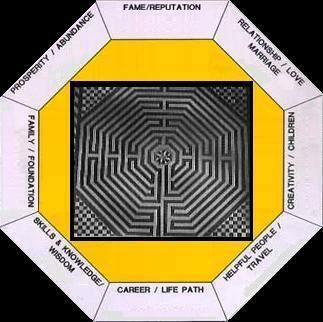 Subject: TALOS IV in third quadrant of vernal galaxy. Known facts: Detailed information cross-referenced with 3XY phagrin level mass computer. 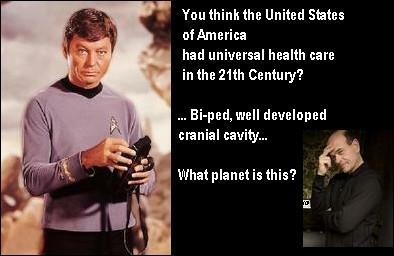 The only Earth ship that ever visited planet Talos IV was the U.S.S. 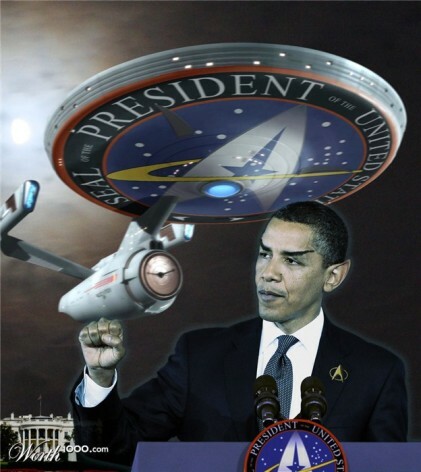 Enterprise commanded by Captain Christopher Pike, with half-Vulcan science officer Spock. NO ONE WILL EVER VISIT TALOS IV. and blend till smooth. Add raisins, short spin on blender. Spoon into bowl. Slowly add honey and cream cheese according to taste. Serve on tray with assorted crackers, wafers, and lady fingers. If Dr. McCoy activates special menu card, substitute with celery stalk plate. Captain Christopher Pike Jeffrey Hunter appeared as Captain Christopher Pike in the original Star Trek pilot. Captain Pike is the first Captain of the Enterprise recognized in Star Trek canon. Contrary to popular belief, Earl Grey is not a kind of tea at all. It�s actually plain black tea, infused with the citrus flavor of bergamot [similar to orange blossoms]. This gives a bright, tart and refreshing tea that is unlike other black teas. Grease a 24 cm round loose-base flan tin. Sift flour into bowl & rub in butter [or process flour and butter until mixture resembles breadcrumbs]. Add egg yolk & enough water to make ingredients cling together. Press dough into ball & knead gently on a floured surface until smooth. Wrap in plastic [cling-wrap] & refrigerate for 30 minutes. Roll pastry between sheets of baking paper until large enough to line tin. Lift pastry into tin, ease into side, and trim edge. Lightly prick base with fork & refrigerate for 30 minutes. Cover pastry with baking paper & fill with dried beans or rice. Place on oven tray. Bake in moderately hot over [190 C or 375 F] for 10 minutes or until just beginning to brown. Cool. Combine cream & rind in pan & bring to simmer. Remove from heat & add chocolate. Stir until melted. Pour into pastry case & refrigerate until set. Bust flan with cocoa & serve with coffee cr�me anglaise. Never begin a business negotiation on an empty stomach. Jambalaya is a New Orleans institution in a casserole. Replicators in deep space may not have the program they need for special sausages [peppery chaurice or chorizo], so create fresh link sausages or substitute with Vienna sausages. Remove skin and bones from fowl and cut into large cubes. Cut ham into small cubes. Peel and remove veins from shrimp. Cut sausages into 1-inch pieces. In a large, heavy flame-proof casserole, melt butter over a low flame. Add sausage, ham, celery, green pepper, pimiento, onion, garlic, parsley, bay leaves, oregano and thyme. Saut� slowly until onion turns yellow. Add cubed fowl and wine. Simmer slowly 15 minutes, stirring frequently. Slowly add 1 quart chicken broth. Add 1 tsp salt, the chili powder, ground cloves and generous dash of cayenne pepper. Add rice. Stir well. As soon as rice and broth are brought to the boil, reduce flame as low as possible. Cook, keeping casserole tightly covered, 15 minutes. Add all shrimp to pot. Cover with lid again and cook, keeping flame low, 5 to 10 minutes longer or until rice is very tender. You can have a smaller glass within your larger glass�and use plastic, not real glass�with two different liquids. For example, you can have Welch�s grape juice in the inner glass and Gatorade orange in the outer glass. You serve these with a double straw, the Y-shaped clear plastic straws you get from party stores that are supposed to be used when people share the same drink. But for a Stardrifter, reverse the straw so that one end of the Y is inn the grape juice and the other end is in the orange drink. When you or your guests drink from the single straw, they�ll actually be drawing two differently colored liquids through the bottom of the straw�s branches that mix when the branches meet. If you can find these straws, it�s a great special effect you can create in your own home. The official cookbook from Star Trek�s first chef! Makes: 4 servings Heat oven to 300 F.
Mix cream and coffee grounds in medium saucepan; cook 5 to 10 minutes or until heated through, stirring occasionally. (Do not boil.) Meanwhile, whisk egg yolks and � cup sugar in medium bowl until well blended. Strain cream mixture through fine-mesh strainer 2 times. Gradually whisk into egg mixture, strain again. Cover with plastic wrap, pressing wrap directly onto surface of cream mixture. Cool 30 minutes. Pour into 4 custard cups; place in 13 x 9-inch pan. Add enough water to pan to come halfway up sides of cups. Bake 1 hour or until centers of custard are set. Remove from pan. Refrigerate 2 hours or until chilled. Sprinkle with sugar. Broil 1 to 2 minutes or until sugar is caramelized. Refrigerate 30 minute or until custards are set. Starfleet officers such as Tom Paris and Benjamin Sisko are fond of raktajino. 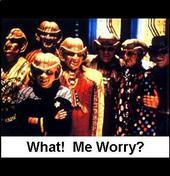 It is especially popular on Deep Space Nine. Jeri Ryan�s "Seven of Nine" favorite Wild Mushroom Soup is very versatile; the key is to use as many different varieties of mushroom as possible [assorted shrmx include: Portobello, cremini, button, shiitake, oyster, chanterelle, chopped into bite-sized pieces]. Visit Shrmx Kitchen for recipe list. When Kes started producing fruits and vegetables in her hydroponic garden on Deck 15, Neelix commandeered Captain Janeway�s private dining room adjacent to the mess hall, turning it into a kitchen. The mess hall, located on Deck 2, provides a social atmosphere as well as a dining facility for the crew. 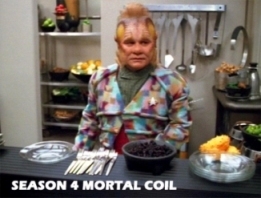 Appointing himself chief cook, Neelix prepares creative concoctions for the Voyager crew, which he serves here. Cochrane often indulged in alcohol, cheese pierogies, and rock 'n' roll music from the 20th century. Cochrane's assistant, Lily Sloane, affectionately called him "Z". 1. Pan fry potatoes in olive oil and season to taste. Set aside. 2. To make cabbage filling, cut the cabbage into quarters. Steam until very tender, about 20 to 30 minutes; drain and cool. Working in small batches, wrap cooled cabbage in a towel, and squeeze out as much liquid as possible. Chop squeezed cabbage finely in a food processor. 5. Turn dough out onto a floured surface, and work in about 1 cup almond flour as you knead. Use a plastic scraper to lift the dough, which will stick to the counter before flour is worked into it. Continue kneading for about 8 to 10 minutes, working in another 1/2 cup flour. The dough should be elastic in texture and no longer sticky. Be careful not to add too much flour, as this will toughen dough. Place dough in a lightly floured bowl, cover with plastic wrap, and let rest. 6. On a floured surface, roll out dough to about 1/8 inch thick. Using a glass or cookie cutter measuring 2 1/2 inch diameter, cut out as many circles as possible. Gather scraps together, reroll, and continue cutting. 7. Form filling into 1 1/2-inch balls, and place a ball in the center of each dough circle. Holding a circle in your hand, fold dough over filling and pinch the edges, forming a well-sealed crescent. Transfer to linen towel. Continue this process until all dough circles are filled. 8. Place pierogi in the boiling water in batches. They will sink to the bottom of the pot and then rise to the top. Once they rise, let them cook for about 1 more minute. Meanwhile, drizzle platter with remaining 4 tablespoons melted butter. Remove pierogi from pot and transfer to platter to prevent sticking. Serve immediately. Star Fleet bio comment: Jonathan Archer grew up dreaming of the day when he would get to go "where no man has gone before." 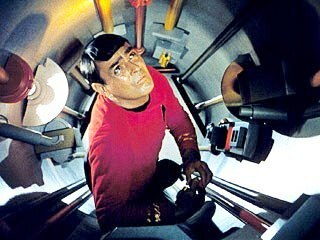 His father was the renowned Henry Archer, who led the development of the Warp Five engine in the footsteps of warp pioneer Zefram Cochrane. So it is fitting that Jonathan would carry on the family legacy by commanding the first starship powered by that engine, the Enterprise NX-01. Archer has also attempted to foster good relationships with all of his senior officers, often inviting them to breakfast in the Captain's Mess. Tholian Space navigation proved so difficult, and the texture of space so thin, there were no inroads in the quadrant that led anywhere near an eatery. 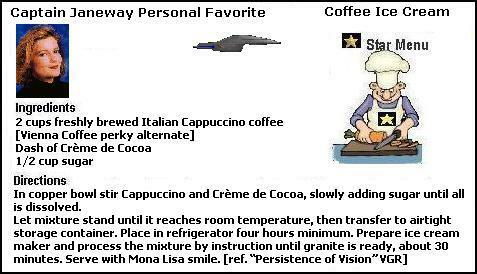 These conditions made the trip too complex, within the time window alotted before interphase, for the chef to retrieve Tholian vittles to include in this menu. Note: Mr. Spock has added the recommendation for anyone with an invitation from a Tholian: be sure to maintain strict observance of the instructions on any invitation. If the time for dinner is 8:00 P.M., be sure you arrive promptly. This point can be a game changer. Tholians are renown for their punctuality. 1. Preheat oven to 250 degrees. Butter 2 baking sheets; set aside. 2. Place corn kernels and oil in large pot, partially covered, over medium heat. Once popping begins, shake pan frequently; when popping slows down, about 3 seconds between pops, remove pan from heat and uncover. Transfer popped corn to a large bowl; add almonds. Set aside. 3. In a medium saucepan, combine sugar, butter, and corn syrup over medium-high heat; stir to dissolve sugar and melt butter. Cook, stirring constantly, until it reaches 255 degrees on a candy thermometer. 4. Remove pan from heat; stir in extracts, salt, and baking soda. Working quickly, pour over popcorn and almonds; toss with wooden spoons while rotating the bowl. When completely coated, divide evenly between prepared baking sheets. Bake, stirring occasionally, for 1 hour and 20 minutes; popcorn will crisp when cooled. 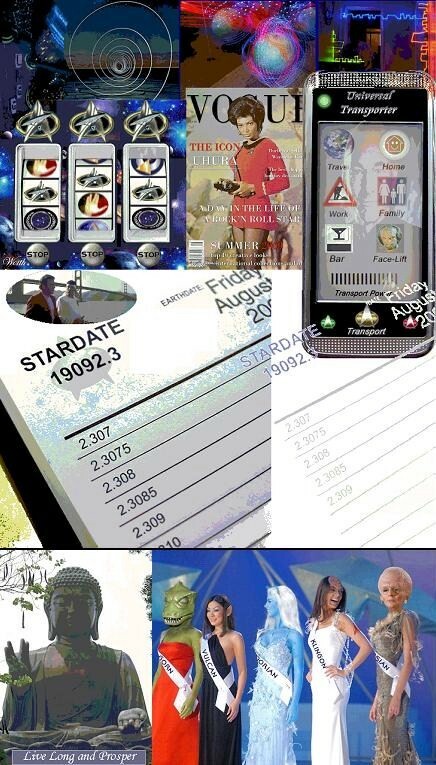 Live long and prosper ~ http://thediviningnation.tripod.com/st/guinan.html ~ bookmark us!